I could go on about bamboo - vintage, faux, painted, thrifted, etc. forever. I remember it from beach homes of my childhood. 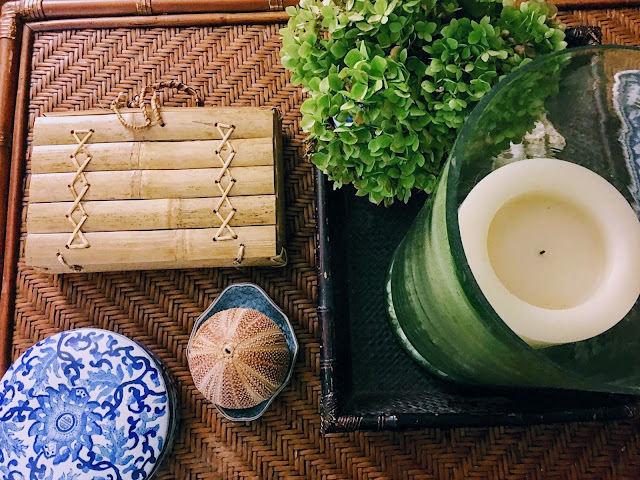 I used to look around the rooms and think how I would decorate if it were my beach house and what color I would paint the faux bamboo headboards in the bedrooms. See - this is not a new addiction/affliction. 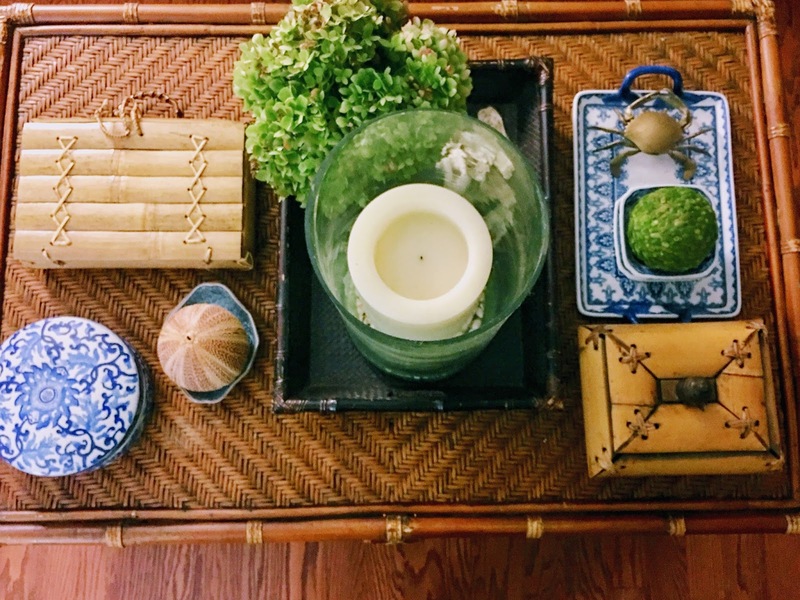 Anyway, the star this week is my "new" coffee table. You may have seen it on my Instagram. Big, almost square vintage-y goodness. but that happens here anyway so we like things with a little "patina" to start with. 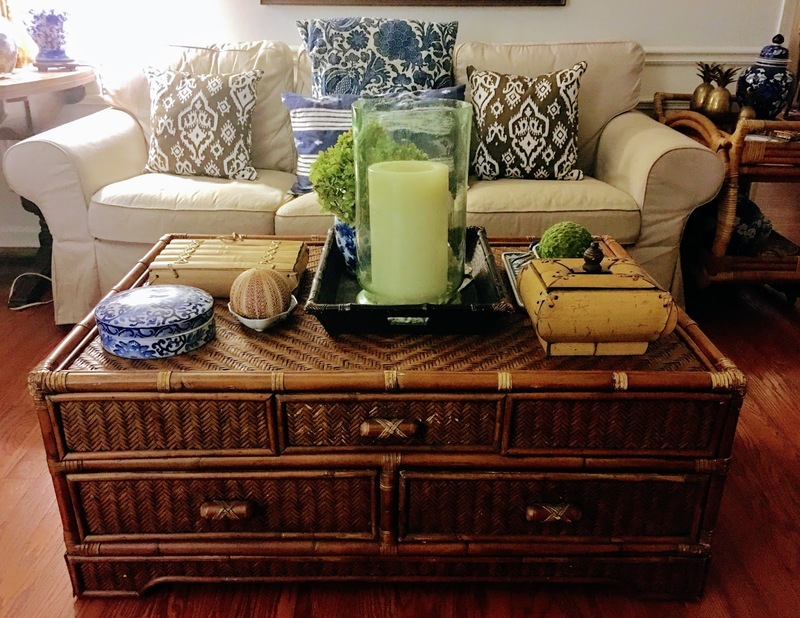 She replaced a perfectly good British Colonial Bamboo coffee table that I really liked. But this one just works better - for propped feet and in a house with 2 big dogs. And I like room to spread out my finds on top of my coffee tables. The last of the hydrangeas - papery and green. 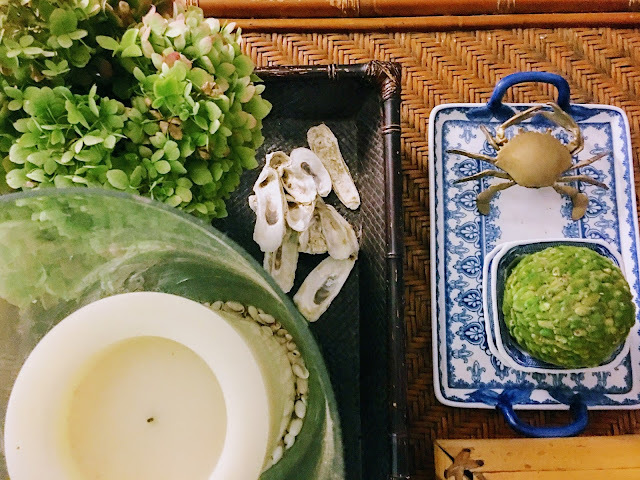 Oyster shells because I am a Lowcountry girl and I love oyster shells. And it will probably look different next week. Big, old bamboo coffee tables are good for that! Marcie, I love your new coffee table and I love your styling! You have so many interesting things on display. I need to go shopping with you! Thank you Elizabeth!! If you are ever in Atlanta... we'll meet up and do lunch with a side of shopping!! 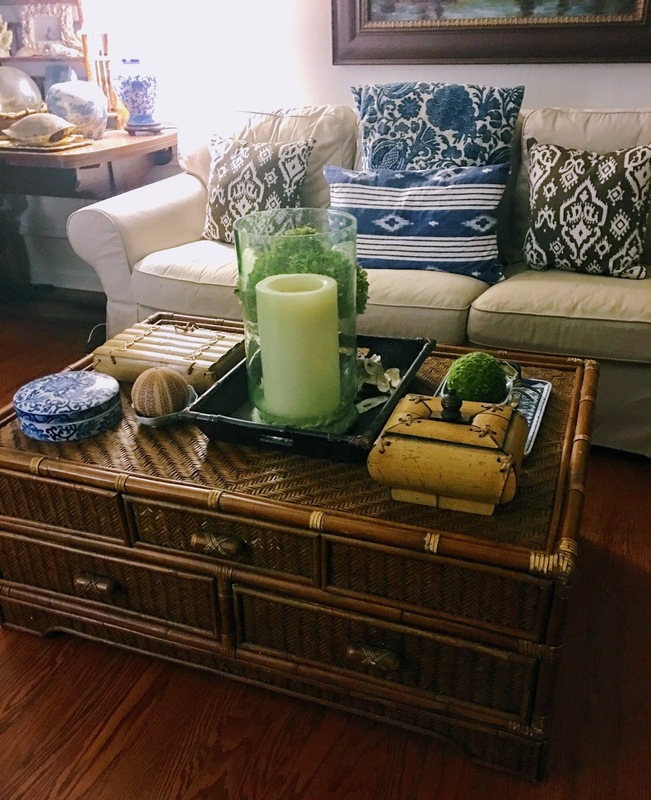 I love everything bamboo and your new coffee table is amazing! 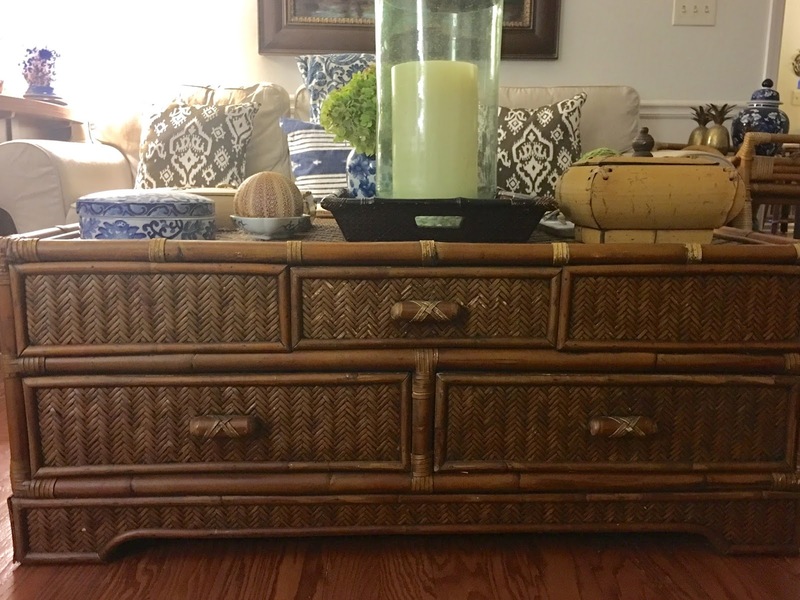 It is the perfect piece for your living room. Happy weekend, Marcie! Great job styling your bamboo table I love it! Thank you Leslie. It's so big that it makes it easy and really fun to style it!